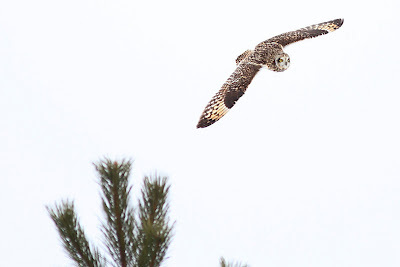 First time seeing the beautiful Short-eared Owl. On Saturday, February 26th, Rob and I went out with a new tour company, "Authentic Canadian Tours". They were doing an "Eagles and Owls Tour", how could we pass that up?! This was our first time doing a tour like this, but it certainly won't be our last! Rob's not one for long drives, so this was relaxing for him, and it was wonderful to spend the day with a great group of like minded individuals doing something we all love. And the birds!! 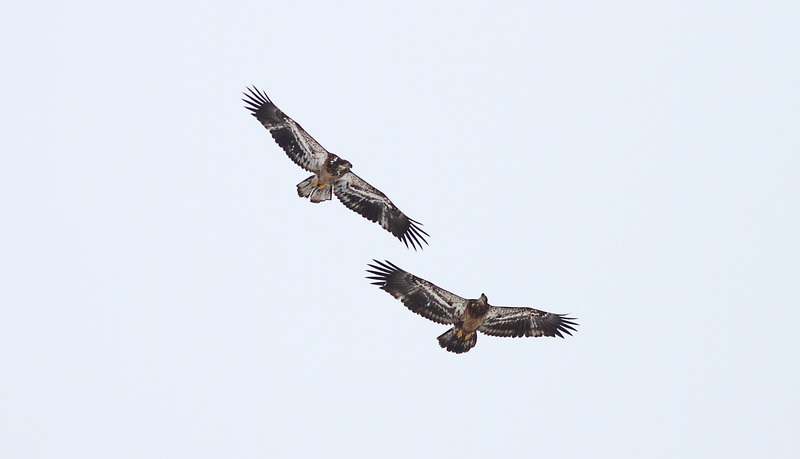 I had four lifers and it was fun to watch Rob see Bald Eagles for the first time, especially the flying show they put on for us. 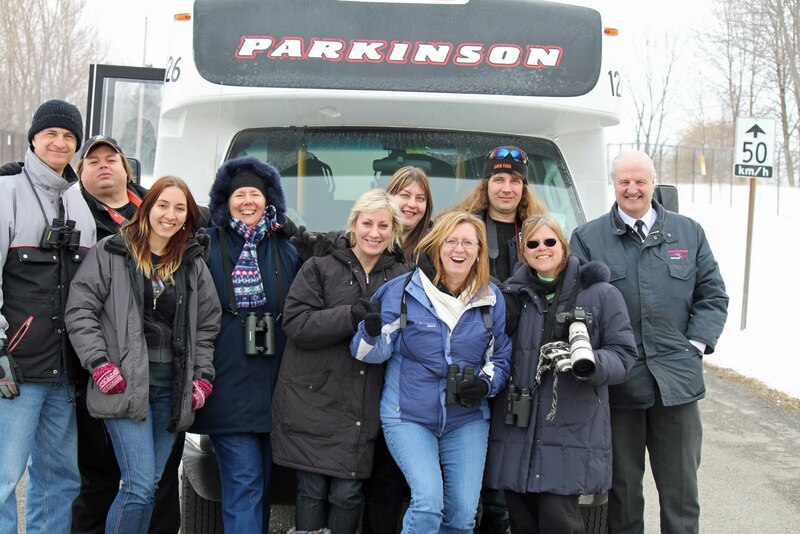 A great group of people to spend the day birding with! Ann Brokelman, a lovely lady and fantastic photographer on the tour let me use some of her pictures from the day and you can see more of her work on her blog. All bird photos in this blog were taken by Ann. All lifers for me except the Bald Eagles. Enjoy! 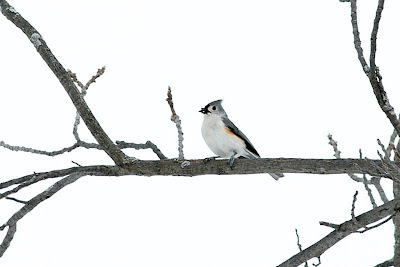 Seeing a Tufted Titmouse was an awesome way to start the day. 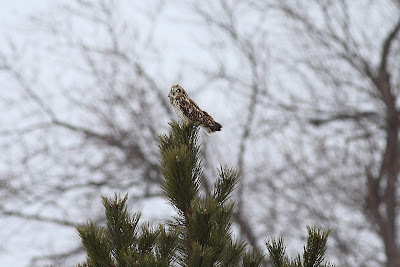 Rob and I had been wanting to see one for years and we weren't disappointed. Two Short-eared Owls sitting in a brush pile in a farmers field. There were four in total. 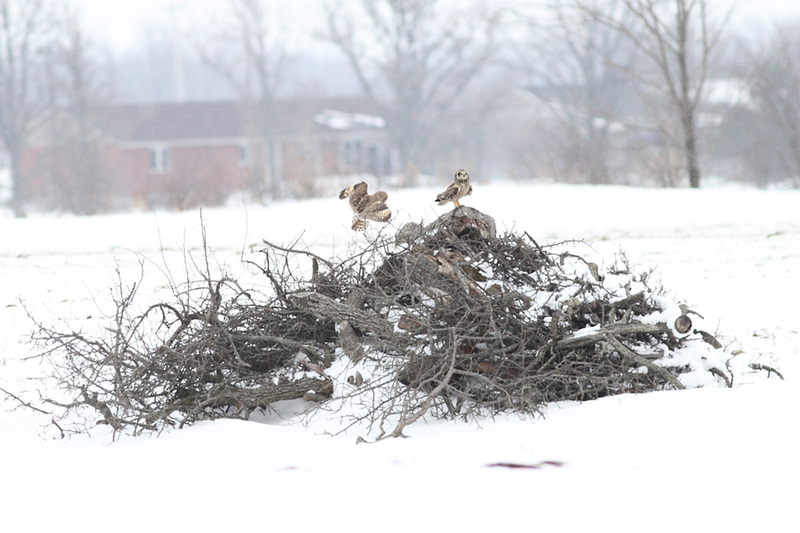 It was such a treat to watch them fly around. 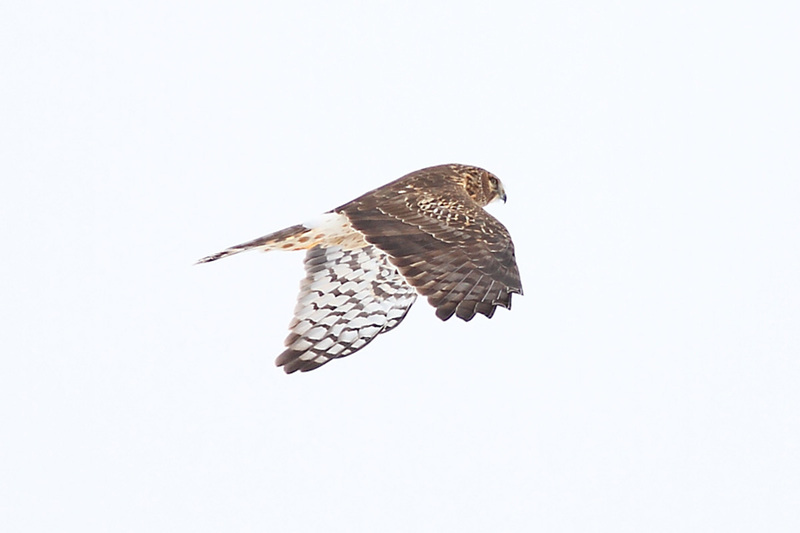 A Northern Harrier gave us a nice fly by. We saw about twelve Bald Eagles in total on our trip, most juveniles, their colouring is spectacular. 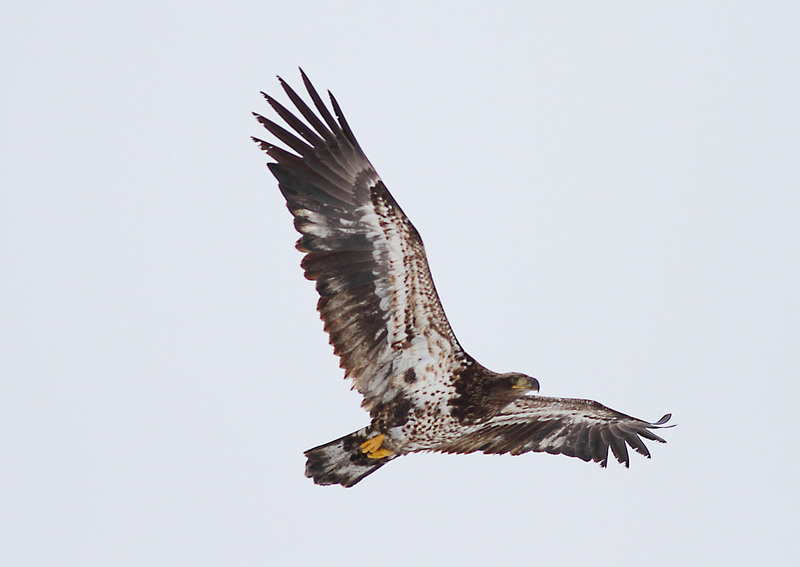 Did you know that Bald Eagles don't get their white heads til they are about 5 years old? 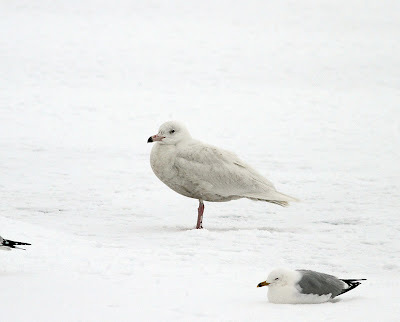 Another "lifer" to end the day, a Glaucous Gull at La Salle Park in Burlington. It was a great and memorable day! Sounds like a fun time ... I'll check 'em out. I see we have some friends in common (Ann, Frank, and Pete).